Looking for something special for your brunch table? 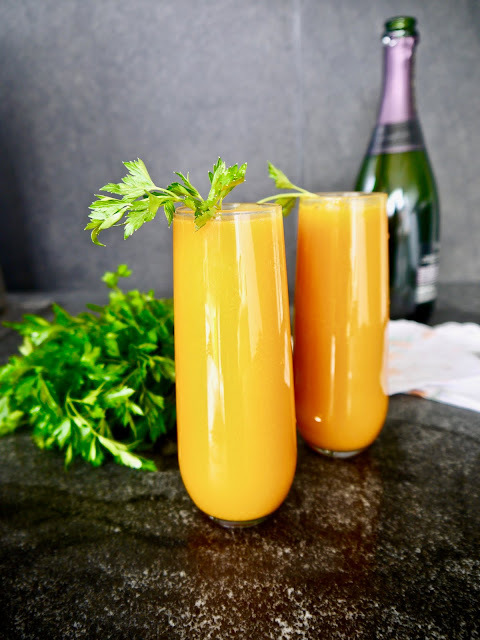 These springtime mimosas are just the thing. Combine juices, ginger, and salt in a blender. Mix until combined. Pour through a fine mesh strainer into a spouted bowl or pitcher. Pour 4 oz of juice into a serving glass and top with 4 oz of champagne. Garnish with a sprig of parsley.